This is just all sorts of wonderful. The 10th Annual NY Men Having Babies Surrogacy Seminar & Gay Parenting Expo, 02 November 2014. 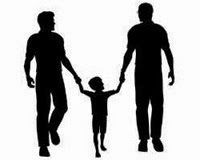 Teen panel/ PART 1: Children born via surrogacy to gay dads share their stories. In cooperation with Family Equality Council’s Outspoken Generation program. Watch the Wonderful at YouTube !